Repainting your cabinets can liven up any tired old kitchen. But don’t just stick to drab and safe hues. Mix it up a little by splashing some bright blues and happy yellows. To round out a kitchen remodeling project on a budget, consider giving your counters and islands some character by painting them a new coat, as well. Ample lighting is important in any room and your kitchen is no exception. However, lighting doesn’t have to be restricted as a practical fixture alone. Brighten up your kitchen walls by adding energy-efficient LED uplighting tape on cabinet walls and borders. Your kitchen remodeling services provider may also install some much-needed task lighting underneath the same cabinets to help illuminate your counter workspace. If you’re thinking of getting a new set of kitchen cabinets, consider giving your old ones a facelift, instead. You can do so with some nifty but cost-effective glass inserts. This typically costs about 80% cheaper than a full replacement. Traditional clear glass is always a good option, but you can also choose from different variants such as etched, crackled, colored, or fluted. 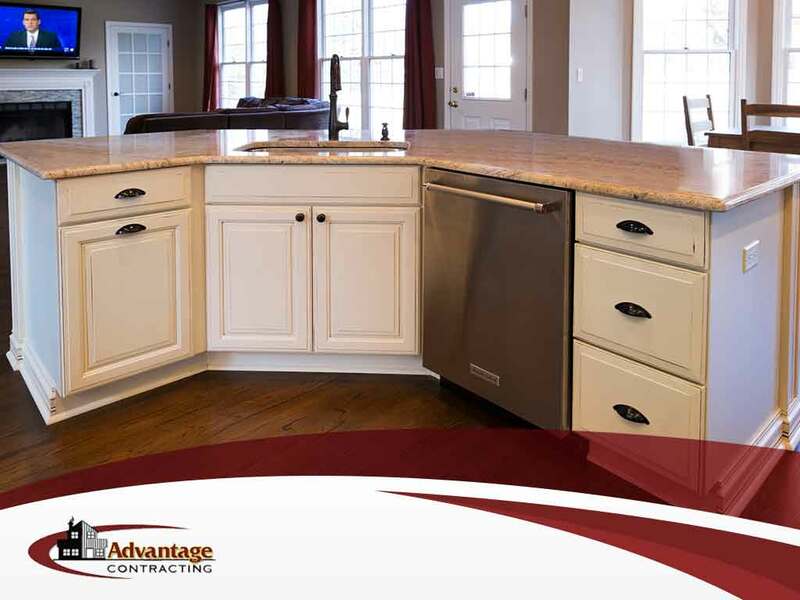 At Advantage Contracting, we are your leading provider of full-service kitchen remodeling services. Give us a call at (862) 292-0003 or fill out our online contact form to request a free estimate today. We serve homeowners in Wayne and Franklin Lakes, NJ, as well as all surrounding areas.